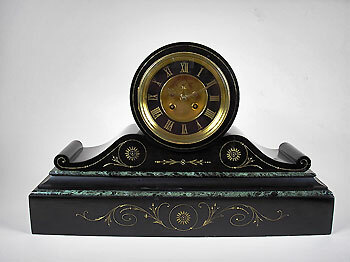 This is a French black slate drumhead mantel clock with gilt engravings and visible Brocot escapement to the eight-day bell striking movement. 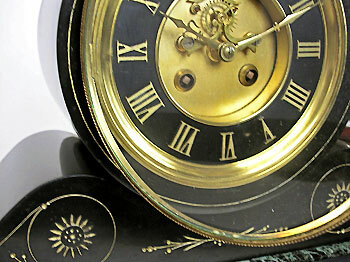 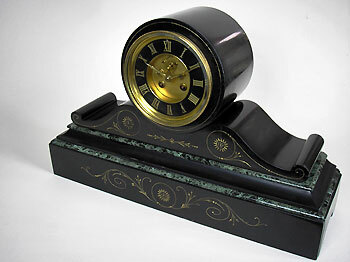 The clock has a black chapter ring with Roman numerals and gilt fleur de lys hands. This clock is unsigned.